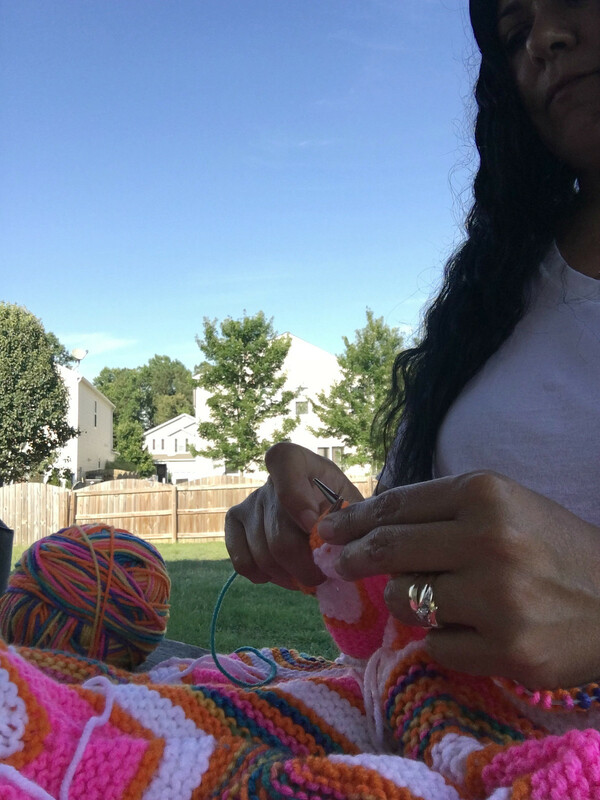 I started this afghan in April of 2012. We are now in June of 2016! Yeah....that's a long time to have a work in progress. 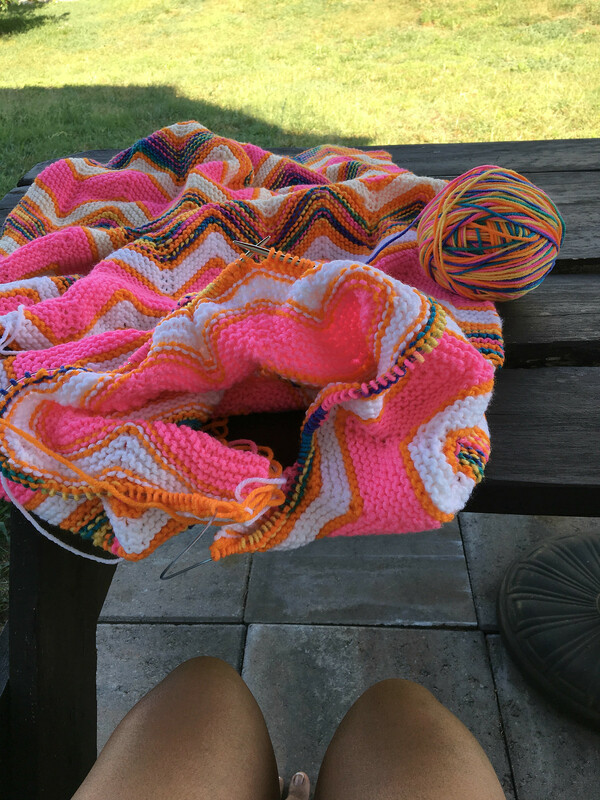 I was so excited when I first started my zigzag. I thought for sure I was going to have it done by Fall. But I got bored with it and put it aside. I've done that several times. Excited to have it finished, bored when I had been knitting on it for days! We have a beach trip coming up in early July and I'm DETERMINED to get this done before then. I would love to take finished pictures of it on the beach. I just think these bright colors would look awesome on a sandy beach. Hmmmm...just had a case of deja vu. I think we had a beach trip before when I said the exact same thing. This time I'm going to make it happen! I will not get bored. I will not get bored. I will not get bored. 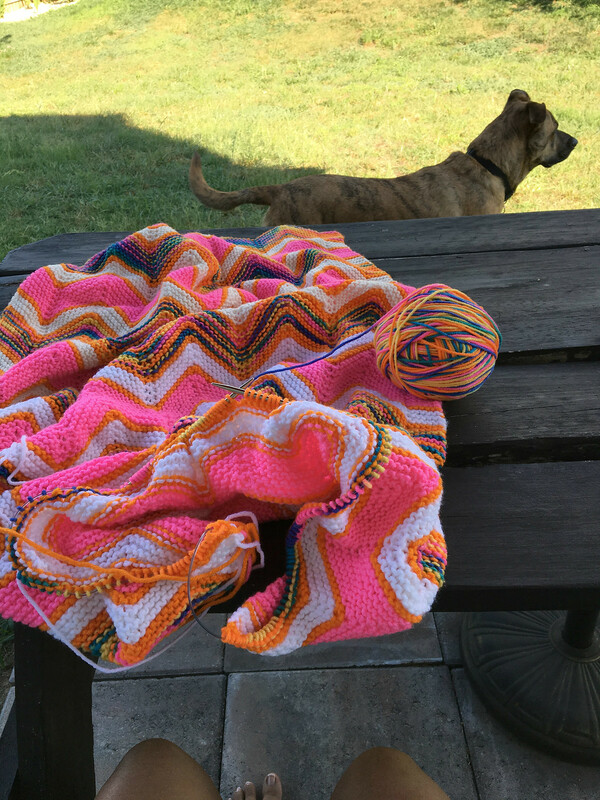 Previous zigzag afghan posts here. Joining in on the Yarn Along and Frontier Dreams. wait....that's MY mantra, too.....I will not get bored, I will not get bored....and guess what??? (hee hee!) I do love those happy colours!!! Good luck with THIS deadline. I think it really will awesome photographed on a beach. What great colors. Blankets tend to go like that - for years and years. I have one in progress too! what a huge commitment!! i love the colors, it will be a one of a kind, handed down from generation to generation!!! it's so beautiful!!! I'm working on an old blanket right now too, I feel like I wanted to finish it other times I picked it up but this time I feel serious determination. 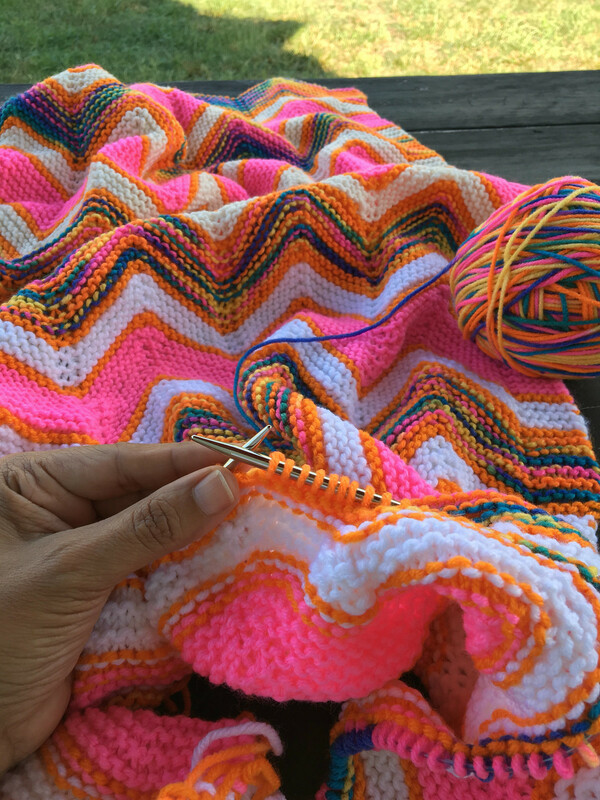 I love the colors of your zig zag, they're seriously fun! ZigZag Afghan - all weekend!